But I come back to ‘why’. Because it isn’t quite as simple as just getting people to read. 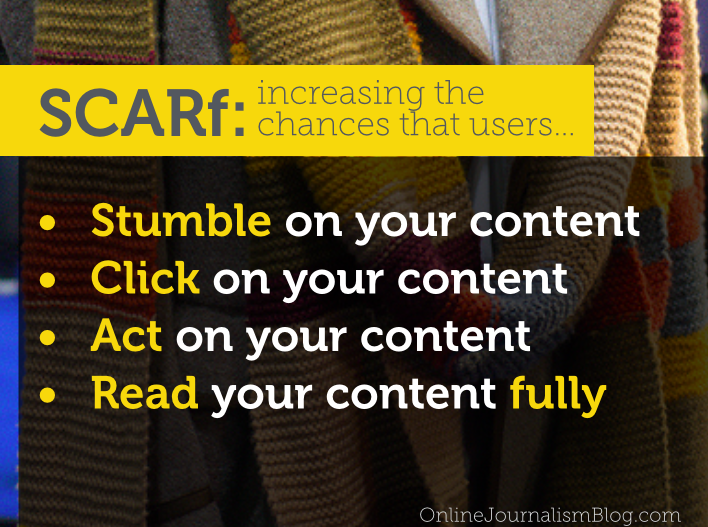 Here are four different stages in a user’s journey which journalists and SEO and SMO professionals optimise content for, and a mnemonic to order them: SCARf. I’ve written many times over the last decade about writing for the web, search engine optimisation (SEO) and social media optimisation (SMO). But this post outlines how those actually relate to what users do. In other words: what’s the point of what we do? Increasing the likelihood that users stumble across your content has historically been largely the focus of search engine optimisation (SEO). If you use different language to your audience, for example, they will struggle to find you. 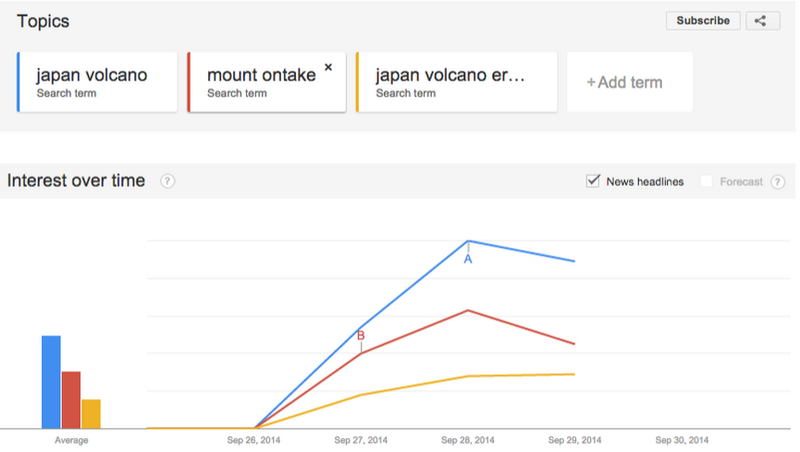 When Mount Ontake erupted, for example, more users searched for ‘Japan volcano’ than the specific name of that volcano – so news organisations used headlines online that matched with that users wanting information were searching for. 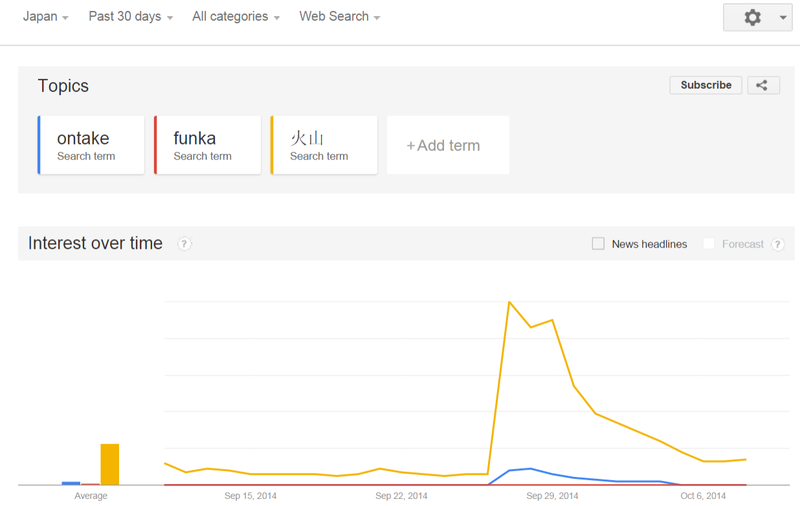 People searched for ‘Japan volcano’ because they couldn’t remember the name – headlines reflected that. SEO helps us serve our readers better. We no longer have to rely on our hunches about what language a particular audience uses: we can use tools like Google Trends to see. Beyond text we have to remember that search engines need help understanding what our images, video and audio relate to. Using alt tags on images, adding descriptions, tags, and even transcripts for video and audio can make a big difference. And remember that many users search specifically for images or video. Publishing frequently, regularly, and consistently also contributes to better ranking on search engines and that ‘stumble’ factor. But it’s not just about SEO: social media optimisation plays an obvious role in users stumbling across content. Largely in terms of how you optimise content on social media platforms. 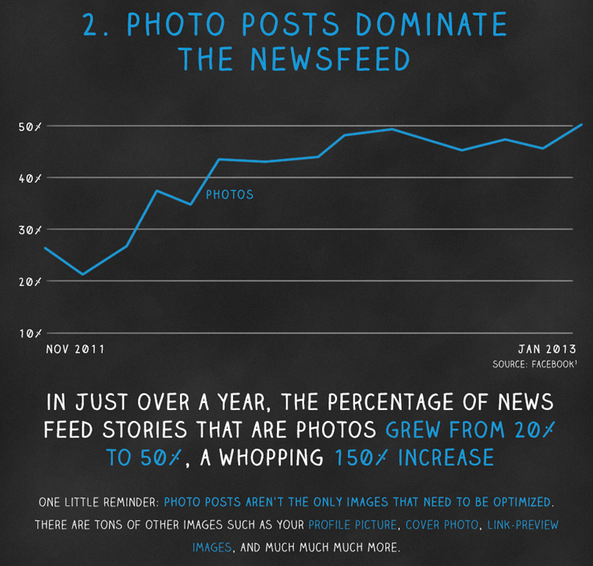 For example, adding a photo or video to a Facebook update increases the likelihood that it is shown in a user’s feed. A history of interaction between accounts increases the odds further. Other factors – how many people are liking, sharing, or click on an update – are about social media optimisation as well – but they are about how the content stimulates users to act, covered below. On Twitter the tactics will be different, because Twitter doesn’t decide what users see in their feed in the same way that Facebook does (yet UPDATE: a week after I published this, Twitter started experimenting with adding tweets by people you don’t follow). But adding hashtags and @names are certainly two ways you can improve the likelihood that someone stumbles across your update when they are not following you directly, and/or not following your updates at the time you are posting them. 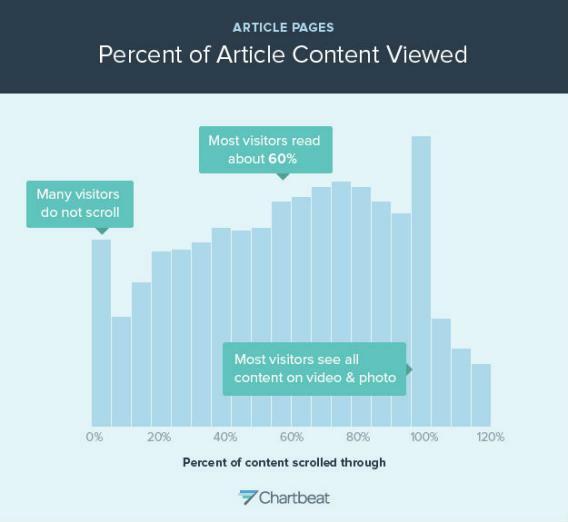 Ranking highly in search, or being widely shared on social media, does not guarantee that people will actually click through to read that content: a surprisingly high proportion of links shared on social media have actually not been clicked on by the person sharing it. Images have an impact on whether users click on links posted on social media as well, while a conversational style appears to improve click-through rates. 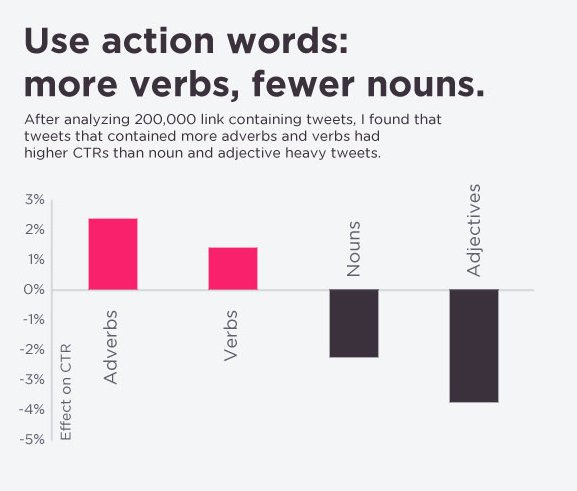 Headline writers will be happy to find that their hunches about verbs and adverbs are supported by the data on click-through rates. And how do you increase the chances that users will click on your headline in search results or when shared on social media by others? Well, being clear about the story helps. Cryptic pun-laden headlines might satisfy your creative side, but they can be frustrating for the online reader who doesn’t understand your cultural references and just wants to know if the article will give them what they’re searching for. Longer headlines that tell us the whole story work very well for the Mail Online among others. It runs against print intuition, but that’s print. And this isn’t print. Don’t try this at home. Do try this online. Calls to action can work well. Some headlines, particularly on video, don’t just tell the story but tell us to watch, or listen. I have intentionally put this aspect of content strategy in the middle: because often people act on content before they have even read it, or read it in full. It’s no accident that the LA Times’ recent redesign included three tweetable headlines at the top of the article. The LA Times’ redesign includes 3 tweetable headlines at the top of each article. Image: Nieman. 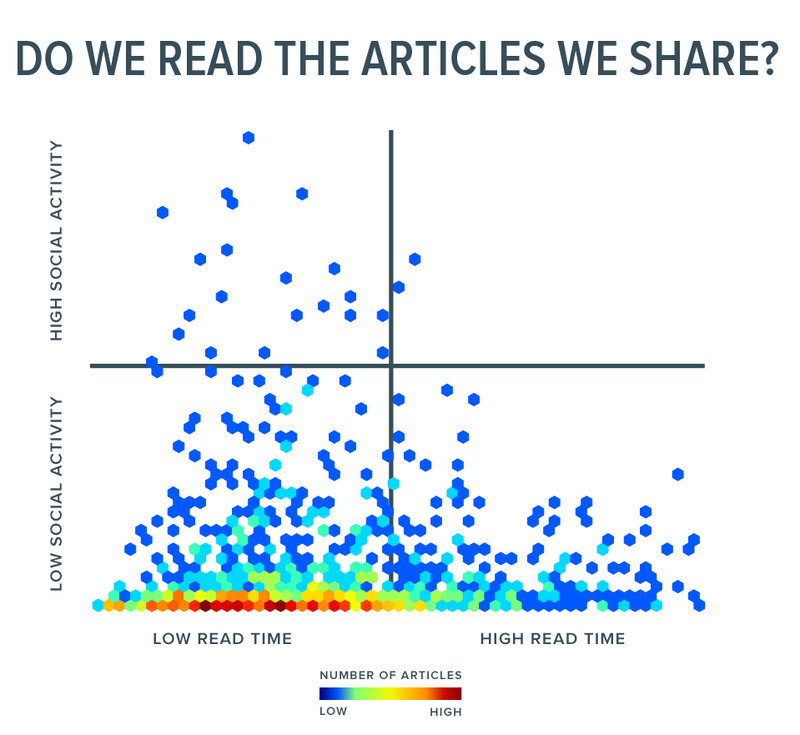 Upworthy consumption data shows how many users share before reading. So thinking about what users might want to do with your content, when, and serving that need, is a key part of content strategy. Sharing is just one action – albeit perhaps the most common one. Another is linking. A third is subscribing. And I can’t pretend that there aren’t websites which optimise their content for more commercial actions like purchasing. What do people share? According to Ze Frank, Buzzfeed’s head of video: identify content, informational content, and emotional content are particularly key. They also share, and link to, unique content. Once again, clicking on content is no guarantee that people will actually read and finish (or watch/listen to the end of) that content. In fact one of the most depressing statistics to come out of modern analytics is that the traditional inverted pyramid news article doesn’t perform very well in terms of retaining readers: formats like liveblogging and datablogs perform much much better on audience retention. How do you keep readers going? Images seem to work very well: a technique that the Mail Online and Buzzfeed use particularly effectively. All of these can help, because users scan and seek and scroll, they don’t read from beginning to end. I’m talking about scannability, something I covered in much more detail as one of my BASIC principles of web writing. 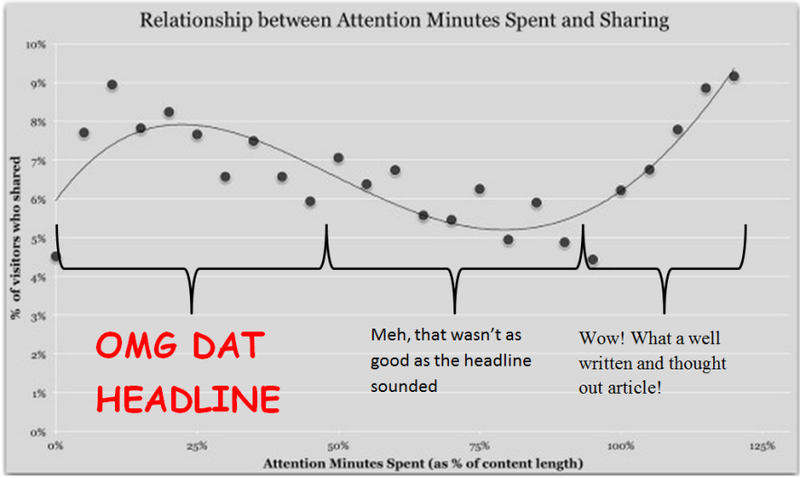 Even having short paragraphs increases the time that readers spend on your article. Not writing too long, or using images and video to tell the story, also seem to work well, at least based on metrics from business publisher Quartz. All the points above should be related to your target audience. SEO and SMO are often misunderstood or misrepresented as ‘chasing traffic’. But if you’re just chasing traffic then you’re doing it wrong. SEO and SMO are merely tools, which can be used by different people for different purposes. It is crucial to have a clear understanding of who your audience is, because making it easy for one set of users to find your content is not always the same as making it easy for another set. Different audiences use different languages, different terms, different platforms at different times. 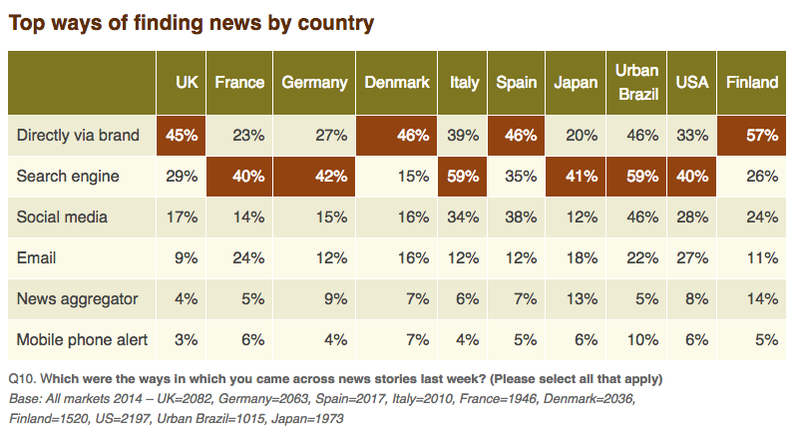 But also some audiences are heavier consumers than others: in the chart below only 17% of individuals in the UK say they use social media to find news, while in many cases close to 50% of traffic comes from social media (this is also a case of what people say versus what they actually do). Some internet users rely more on search, others on social. Source: Reuters Institute. Note, however, that this is as a proportion of population, not visits. They follow different key accounts. Above all, they have different information needs. Start with who that audience is, what their needs are, and how you can best serve them, and the rest follows. All you’re doing is connecting information with audiences, and that’s no different to what we’ve been doing for decades .